Accenture raked in $33 million while eight other firms cracked the $1 million mark in the ten months to the end of April. A who's who of ICT firms and consultancies are servicing the Inland Revenue's hunger for ICT skills, services and goods. The Inland Revenue Department spent over $102 million on contractors and consultants for its $1.8 billion transformation programme in the 10 months ended 30 April, disclosures to Parliament reveal. Accenture was the largest contractor on the project during the period, receiving $33 million and shading Fast Enterprises, the US company that develops the software that will underpin IRD’s replacement of its 30-year-old FIRST mainframe system. Fast received $29.2 million during the year while Deloitte was the third largest contractor by revenue receiving $10.3 million. Other firms working on the project to receive more than $1 million were: Assurity Consulting - $6.28 million; Beyond Recruitment - $3.17 million; Absolute IT - $2.95 million; Absolute Payroll Wellington - $1.84 million; Team Asparona - $1.37 million, and; Unisys - $1.07 million. 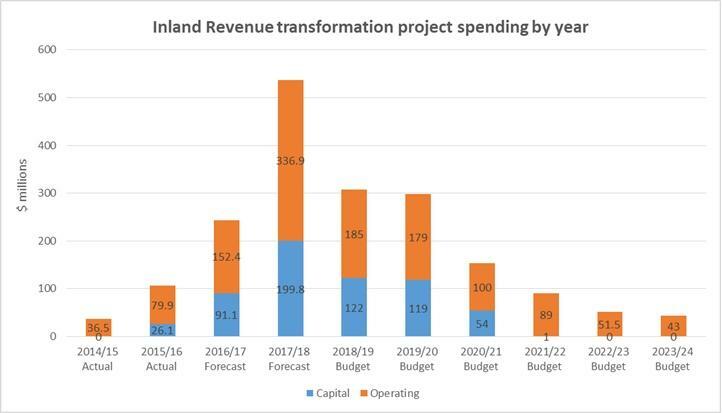 Spending on Inland Revenue's transformation programme is expected to peak in the current 2018 financial year. IRD said it expects to spend more on contractors and consultants in the 2018 financial year. “Services provided by external consultant and contractors complement internal resources and are primarily specialist in nature,” the department told Parliament. “The Business Transformation programme is high-risk, and the requirements for Stage 2 are exponentially greater and more complex than for Stage 1. 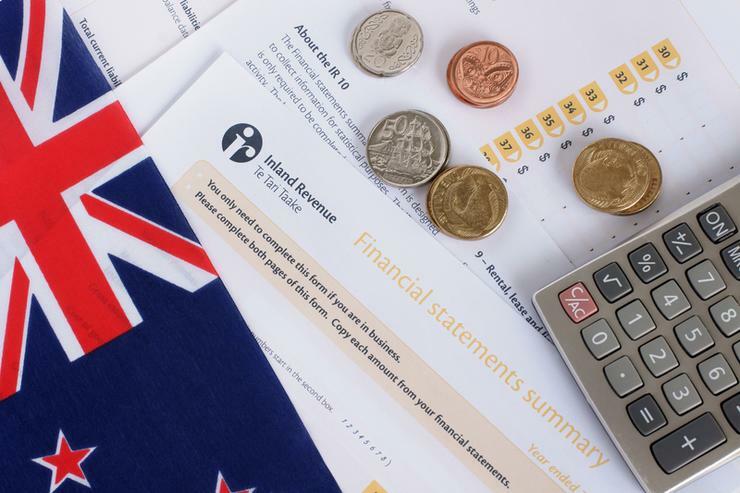 Detailed by IRD CTO Gary Baird via a Reseller News Podcast, the department is disrupting its own business to deliver connections to its wider ecosystem and replace creaking 30-year-old mainframe systems. 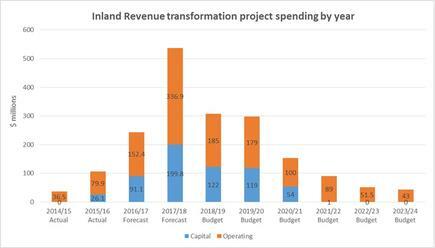 Furthermore, IRD spent a further $20.8 million on consultants working outside of the transformation programme, many not in ICT. However, the ICT contractors to receive more than $1 million in this category were: Absolute IT - $2.84 million; Deloitte - $2.61 million; Assurity Consulting - $2.25 million; Datacom - $1.33 million, and; Zephyr Consulting - $1.09 million. Out of its total, Deloitte received $1.96 million for its work on the J2FM project to replace IRD’s end-of-life middleware. “For the J2FM project, we’re adopting an iterative continuous development approach that is relatively new to Inland Revenue," the department explained online. Asparona is also working on the J2FM project. In a related disclosure, IRD revealed contracts awarded in the ten months to 30 April - some of these may include the payments reported above but others clearly do not. Accenture topped that table with $45 million followed by Vodafone with $15.6 million, meanwhile Unisys won $13.1 million of deals while Datacom clocked up $5.8 million. 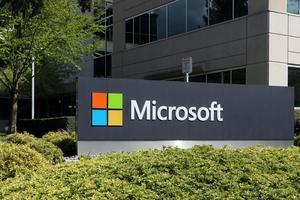 Among the other suppliers mentioned, Revera recorded $2.48 million and Spark Digital $1.22 million.